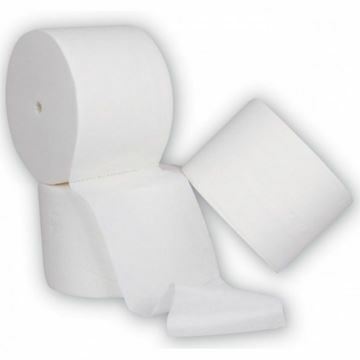 A coreless compact toilet tissue is perfect for washroom environments where eliminating stub roll and core wastage is vital, saving you money as all of the tissue is used. 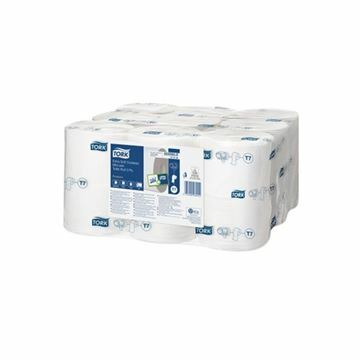 2ply coreless toilet roll, 90mm x 106m. 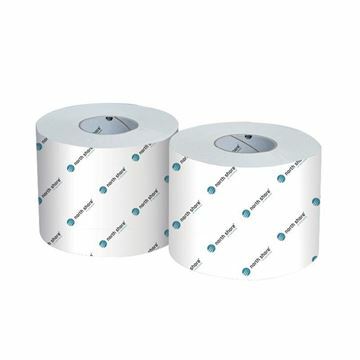 e-matic® toilet tissue is ideal when used with the esp e-matic® dispensing system in washroom environments where cubicle space is limited. 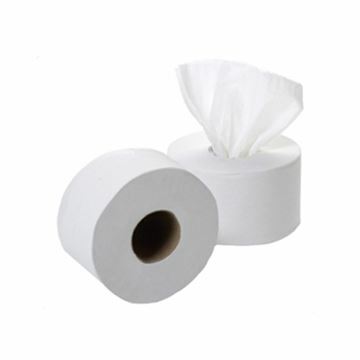 White soft 2ply tissue. Kind to the skin and comfortable to use. 800 sheets per roll. 100mm x 100m. 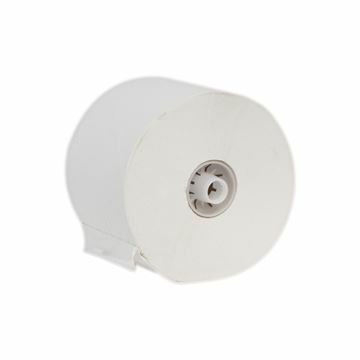 The Tork Coreless Mid-size system (T7) fits two rolls and will make sure that you never run out of paper. It is best suited for areas with medium capacity span. Coreless, it is also better for the environment.